…let´s go out into the unknown – my first ever Gin tasting. Deriving its name from juniper berries and its ancestry from the Dutch and Belgian Jenever, this is a spirit that´s been with us since the 16th century. The raw alcohol produced by pot stills needed to be flavoured by something to make it more palatable, and juniper berries both gave a nice taste and was considered medicinal. A variety of production techniques and choice of flavouring botanicals has been utilized and is responsible for the large selection of gins available today. This is a drink that has gone from being the poor man´s burden to becoming one of the most popular cocktail ingredients ever, further developing into the high-end products that´s driving todays return to popularity. In the lower end of the spectrum we have neutral spirits with added flavourings dominated by juniper. Considered better is distilled gin, where alcohol of agricultural origin is redistilled with a selection of botanicals, with London dry gin being a special category carefully controlling the amount of added sweetening (less than 0,1 g/litre) and not allowing any other additional ingredients except water. The use of pot or column stills can further influence the character of the distillate. An interesting development is the manufacture of gin in countries not traditionally connected with this spirit. 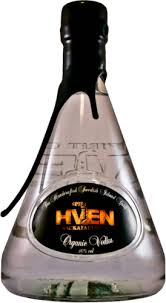 Spirit of Hven Organic Gin, 40%. 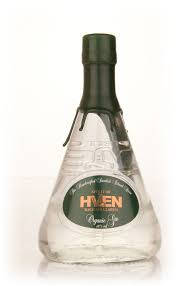 Made by the Spirit of Hven distillery that I´ve written about before, this double distilled drink is called an organic gin and is made from organic wheat in a copper pot still. After a time of oak barrel maturation the spirit is infused with Bourbon vanilla from Mauritius, cassia bark, fresh Swedish juniper berries, cardamom, calamus root, Sichuan pepper, aniseed and grains of paradise (Guinea pepper) before a second distillation. Despite no filtering whatsoever, this distillate is crystal clear and without any clouding. The nose has an initial alcohol tanginess followed by some short vanilla notes and a dominating citrus. On the palate it´s slightly oily, beginning with citrus and fleeting juniper blending into mild vanilla and a fairly short ending of peppery notes and a hint of licorice. 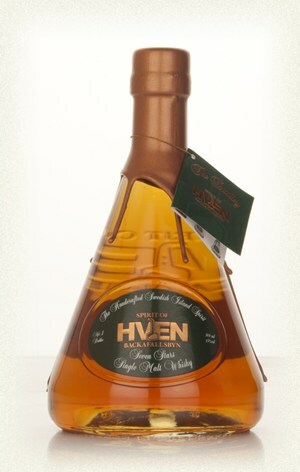 The bottle is the usual conical one with running wax drippings that we´ve gotten used to from Spirit of Hven. Original but not exactly beautiful if you want my opinion. Still an interesting drink that´s more defined by its barrel maturation than the botanicals. Probably better enjoyed on its own than as a cocktail ingredient. Nils Oscar Tärnö Gin, 41,5%. From the makers of the fabulous Nils Oscar line of craft beers comes this gin made entirely from ecologically produced grains, herbs and berries. Distilled in a pot still with juniper berries, elder, cinnamon, cardamom, coriander and lemon. Crystal clear colour without any visible impurities. The nose is fresh and crisp, dominated by pleasantly fruity elder aromas, making it unique amongst the gins sampled today. In a tasting glass this drink is not distinguished by complexity but instead shows an individual character dominated by elegant juniper and elder notes, making it very special while still quite easy to drink. A deceptively simple but well-crafted gin unlike any other. The bottle is a no-frills variety in line with what their other spirits and beers come in , making the point that the content is what matters. A really unique gin showing that simplicity can outperform complexity if it´s done right. Wannborga Ö Gin, Artisan London Dry, 40 %. 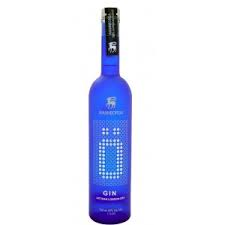 Manufactured by the Wannborga distillery on the Öland island off the Swedish east coast (I´ve tried their whiskey and vodka in earlier posts) this is a gin made entirely from ecologically produced wheat and herbs in a pot still. 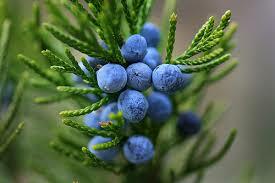 Nine different botanicals are used, including juniper, coriander and white pepper. Clear and crisp water colour. A nose characterized by distinct and easily recognized citrus, cinnamon and white pepper. The palate is well-balanced but not that exciting, with citrus, juniper and cinnamon dominating and lacking much complexity. There´s a sweetness to the finish that I personally don´t like that much. The bottle is the usual high and slim design that Wannborga uses, this time with blue glass and still as impractical since it needs a lot of height on the shelf. A gin that´s well-made but still somehow lacking in personality. Bombay Sapphire Gin, 40 %. 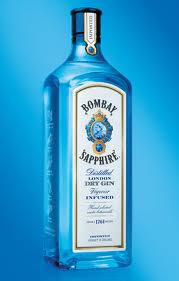 The Bombay Sapphire Company makes one of the high-end products that´s always on top-ten lists of the best gins. A London dry gin distilled using a Carter-Head still (earlier mentioned in the post about Reyka Vodka). Triple distilled with a manufacturing process where alcohol vapour pass through perforated baskets containing the botanicals, giving a lighter and more floral drink. 10 hand selected botanicals are used in the making of Bombay Sapphire – Italian juniper berries, Spanish lemon peel, coriander seeds from Morocco, German angelica root, Italian iris root, grains of paradise from West Africa, cubeb berries from Java, Indonesian cassia bark, Spanish almonds and licorice from China. The colour is clear and sparkling. A complex nose with citrus perfectly balanced with spices. The taste continues in the same vein offering a very well-balanced blend of juniper, citrus and spiciness, not letting any one botanical take over. What strikes you the most when tasting this gin is the seamless marriage of all its ingredients. The bottle is classy, with sapphire blue glass alluding to the Star of Bombay and small drawings of the botanicals down the sides. To sum it up – an extremely smooth gin but with lots of character. A real winner. Here we have a truly unique gin, both when it comes to taste and production techniques. Called “a most unusual gin” by its manufacturer, also boldly stating that “it is not for everyone”. They actually have a point there. 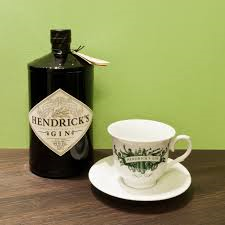 The final product of Hendrick´s gin is a blend of two very different distillates. The first one coming from a copper Bennet pot still from 1860, containing only 450 litres. Botanicals are left to steep in neutral grain spirits for 24 hours and then boiled and distilled. The second one is made with a Carter-Head still, where the botanicals are bathed in alcohol vapour, ensuring a very gentle extraction of the tastes. While some of the flavourings used are well-known in gin production, some are not. Yarrow, juniper, elderflower, angelica root, orange peel, caraway, coriander, chamomile, cubeb berry, orris root and lemon. After blending these two very different spirits, the distillate gets its final touch by an infusion of Bulgarian Rosa Damascena and specially selected cucumbers. Clear as spring water. The nose is both complex and unusual, heavy on floral notes with a base of juniper and citrus fruits. The complexity carries on in the taste, with initial bursts of juniper and citrus followed by aromatic elderflower and rose petals, finishing with a very delicate note of cucumber. Making Dry Martinis with this gin and two slices of fresh cucumber instead of the usual olive is something everybody should try. The apothecary style bottle is totally unique, and together with the graphic style of their website aimed at instilling a sense of decades of tradition for this gin created in 1999. Well, whatever, I kind of like it. Heavy, sturdy brown glass looking like it´s containing an age-old folk medicine. This gin has an abundance of personality and style, and is one of my absolute favourites. This entry was posted in Food & drinks and tagged Bombay Sapphire, Gin, Hendrick´s, Jenever, Juniper, Nils Oscar, Spirit of Hven, Wannborga on October 4, 2014 by danolofohman. …whisky is not only Scotland anymore. Single Malt Whisky traditionally made in different parts of Scotland has been a long running success story. Some distilleries go back over 200 years and keeps their legacy alive into the present. The basic ingredients are pretty simple, malted barley distilled in a pot still and aged in oak casks for at least three years. Since this is not something inherently unique to Scotland, recently there has been a surge in whisky production from other countries. The making of distilled spirits has been know and practiced in Sweden since the 15th century, mostly consisting of what we call “brännvin” which is a simple spirit made of starch from potatoes and often flavoured by local spices and plants. In Swedish culture Brännvin is strongly associated with weekend binge drinking and certain seasonal feasts connected to the agrarian society of old. However, modernity brings new customs and traditions from abroad changes the game. Sweden has not been as uniformly susceptible to the lure of Scottish single malt whisky as for example Japan, but the interest is nevertheless substantial. During the last few years a change in the manufacture of spirits has been evident in Sweden, and several whisky destilleries has seen the light of day. The most accomplished of those are the Mackmyra distillery. . A well thought through commercial distillery with enough financial clout to be able to live through the necessary lean years before actually putting a product out on the market. The period leading up to this has been filled with experiments. Different types of barley and maturation. Different varieties of oak and treatments of the same. Combinations of raw materials, storage and finishing. The combinations are in effect limitless. While evaluating the process Mackmyra released a series of limited edition preliminaries called “Preludium”. Through this the enthusiast could follow the birth of a new single malt whisky. The series is by now pretty rare and bottles sell at high prices. One of the final results of all these trials is a first edition of a unique Swedish single malt whisky sold as Mackmyra the first edition. Quite talked about by whisky enthusiasts it´s taste profile is still pretty far from what you usually get in a traditional single malt. It´s not smoky at all and more similar to the elegant types of Scottish single malt, with prominent citrus notes. 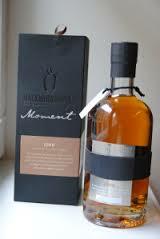 In my opinion a fairly nice whisky which can be enjoyed even by those who normally don´t like single malts. 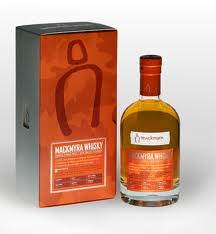 In addition to this basic malt Mackmyra has also released two other series of limited editions. The more avaliable one is calles the Special series and here they play around with interesting combinations of their two basic recipes (elegant or smoky), and different types of barrels. Barrels previously used for storing sherry, bourbon, sauternes, fruit wines and even coffee has been used. Some of these really interesting and some slightly strange. 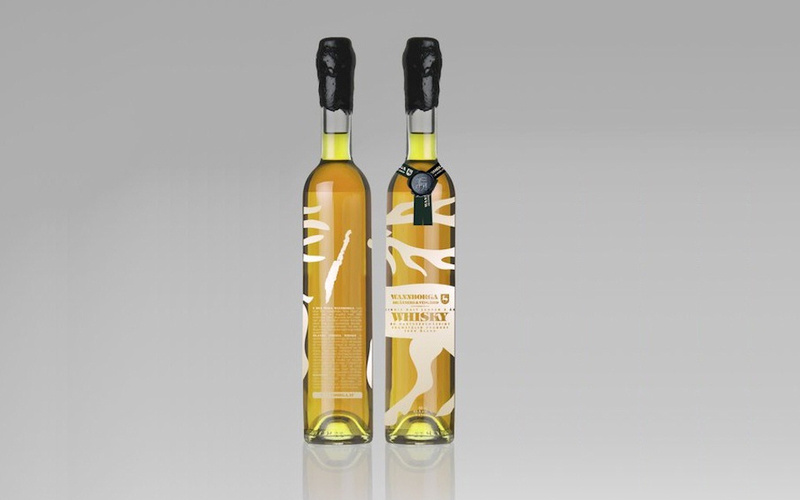 The other limited series is more exclusive and consists of bottlings of whisky from special barrels that the Mackmyra master blender has found to be of specially high quiality or with a unique taste. These are called “Moment” and presently there exists 13 different types, with only about 1500 bottles of each. Usually they disappear from the stores pretty fast, snapped up either by collectors or by those speculating in being able to sell them at much higher prices later. If the market for “Preludium”-bottles is anything to go by they just might be right. 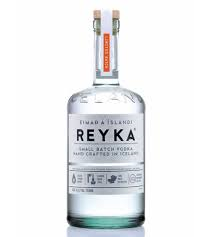 Personally, I´ve managed to get hold of one or two bottles of quite a few of the different Mackmyra offerings, however not for speculation purposes but for drinking. Mackmyra is beyond any doubt the most successful of the Swedish whisky distilleries, and the guys behind it has shown quite a flair for marketing and creating customer expectations. The exclusiveness factor of the different special editions does also help to create a certain mystique, especially around the beautifully packed “Moment” series. A lot of effort seems to have ben put into designing the bottle, which is probably not a bad idea. 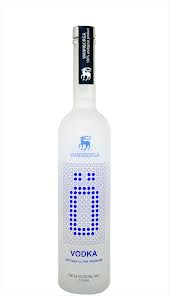 The success of Absolut Vodka hasn´t escaped anybody in the business. There are also other manufacturers of whisky in Sweden, some of which have made their first efforts available in the store. One is Wannborga distillery on the island Öland off the Swedish east coast. Besides whisky they are also making vodka, gin and their own take on things like calvados and grappa. I´ve tasted what I believe is the first bottling of their whisky and frankly found it to be something of a disappointment. Not much character there, mostly just tasting of alcohol. Still, nice to have tried it. Slightly better, but still not near Mackmyra, is the whisky from Spirit of Hven. . Also situated on an island, this time Hven in the Öresund strait between Sweden and Denmark. Vodka, gin and different seasonal Schnapps are on offer, in addition to the whisky. This one is also made in limited editions and feels like something that will probably evolve during the coming years. So, if you get a chance, try some of these alternatives to the traditional Scottish ones. It´s really interesting to see how much difference in character that can be achieved from pretty simple ingredients. This entry was posted in Food & drinks and tagged Mackmyra, Moment, Preludium, Scotland, Single Malt, Spirit of Hven, Wannborga, Whisky on September 7, 2013 by danolofohman.